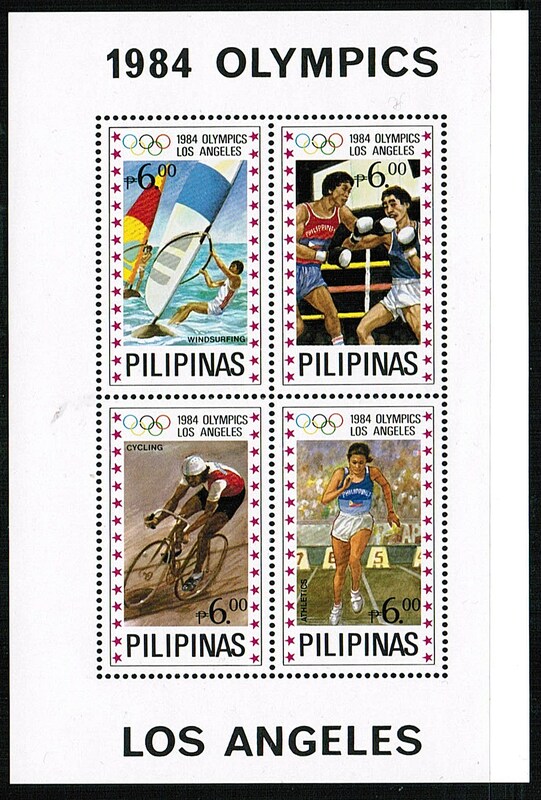 In 1984, the Philippines issued a set of six colorful stamps and a souvenir sheet in celebration of the Summer Olympics, held in Los Angeles (Scott # 1699-1704, 1705). 20,000 sets and 15,000 souvenir sheets were issued, and Scott '11 prices them unused at $18.00 and $15.00, respectively. 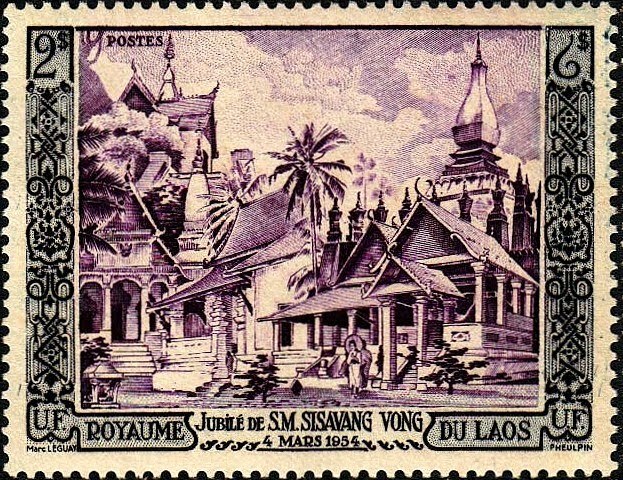 Imperforate versions of the set and souvenir sheet were also issued, in quantities of 3,000 and 5,000. These are noted by Scott, which prices them at $100.00 and $50.00. 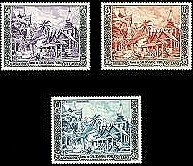 The Philippines has produced imperforate versions of popular sets every now and then, and while it is certainly true that such were issued mainly to appeal to collectors and were not intended to serve as postage, they're issuance quantities are much lower than those of the regular stamps, and they are therefore worthy of consideration. 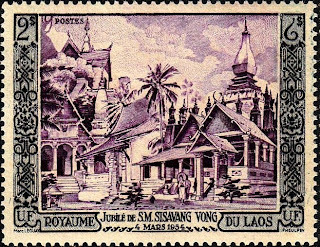 From the perspective of philatelic history, the Philippines is interesting because it has issued stamps under Spanish dominion, U.S. Administration, Japanese Occupation, and as an independent nation. 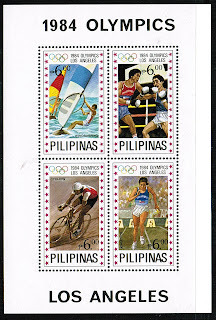 It is also compelling as an area of research for the philatelic investor, because of its rapid economic growth, and because it has issued a number of scarce yet overlooked issues, including some modern popular topical sets, such as the Sports/Olympics topical issue featured in this article. In 1967, Rwanda issued an attractive Birds set (Scott #239-48). 37,500 were issued, and Scott '11 prices it at $18.40 for unused. Animals on stamps are among the most popular of topicals, and increasing in popularity. Also, as a former Belgian colony, Rwanda has some appeal among collectors of Belgium and Area. While I do not believe that Rwanda will develop a significant domestic stamp collecting base in the near future, I am more sanguine about the prospect long-term. A nation of 10.7 million people, Rwanda received considerable international attention due to its 1994 genocide, in which an estimated 800,000 people were killed. Since then, the country has made a recovery and is now considered a model for developing countries. In 2009, a CNN report labeled Rwanda as Africa's biggest success story, having achieved stability and economic growth. The country is still largely dependent upon agriculture, with coffee and tea being the main exports, although the government has taken an active role in bolstering a growing manufacturing sector. Average income has tripled in the past ten years, and annual GDP growth has been impressive, averaging almost 7% over the last five years. Among the stamps that the Scott Catalog neglects to list are many German Occupation issues of World War II. Until the day that the publishers at Scott relent, correct the error, and list these stamps with "N" numbers in each country's back-of-book section (as Military Occupation stamps), we shall have to turn to Michel's Germany Specialized Catalog in order to find information on them. In 1941, the Germans issued a semi-postal souvenir sheet to help fund the Legion of French Volunteers Against Bolshevism, a collaborationist French militia which later fought in support of the Germans on the Eastern Front. 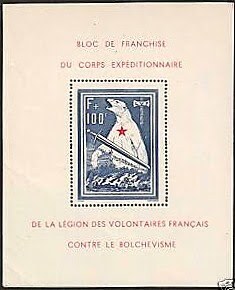 The sheet is quite attractive, and pictures a sword striking the Russian Bear (symbolizing Bolshevism). 5,000 were issued, and the latest Michel prices it at Euros 650.- for NH. The sheet is an important relic of World War II, and primarily appeals to both French and German collectors, and secondarily to Animal topicalists. It is undervalued in part because of the "tail wagging the dog" effect of being ignored by Scott along with many other WWII occupation issues, a disservice which results in most U.S. collectors being kept in the dark about them. 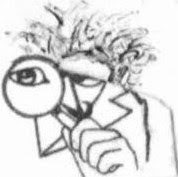 Note that expertization is recommended as a condition for purchase, as counterfeits exist. 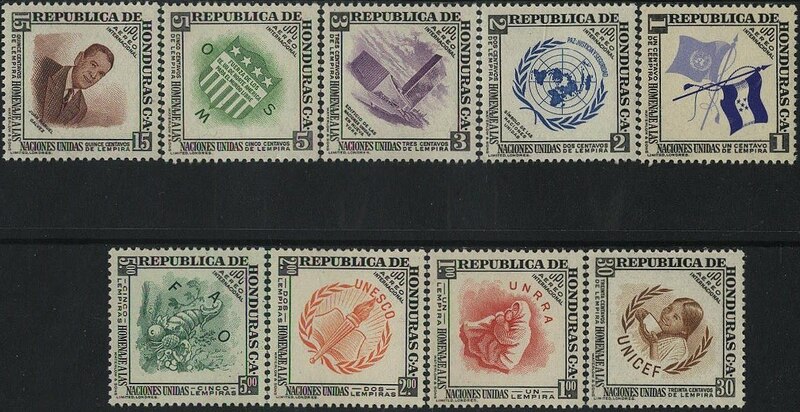 In 1953, Honduras issued an airmail set honoring the United Nations (Scott #C222-30). Only 10,000 were issued, and Scott values the unused set at $36.60. The main reason that this set remains cheap is that Honduras is still a very poor country, and few of its citizens can afford to collect stamps. 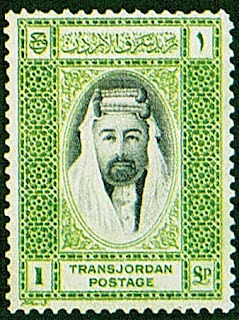 As far as philatelic investing goes, it qualifies as a "ground floor opportunity" (as described in one of my "general commentary" articles last year), for which the best strategy is to minimize risk by buying stamps of the country which have worldwide appeal, such as rarities and popular topicals, and then hope for additional increases in value as the country's situation improves. 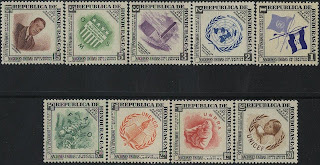 To some extent, Honduran stamp values are sustained by the tendency among stamp collectors to collect Latin America as a region, rather than focusing on individual countries. Honduras is a nation of about 7 1/2 million people, which has recently undergone a coup d' etat and constitutional crisis and may revert to being a dictatorship. The economy, which is largely dependent on agriculture and mining, has continued to grow, but the distribution of wealth remains very polarized, with average wages remaining low. 50% of the population still remains below the poverty line. Should the dictatorship succeed in solidifying its position by relying on the tried and true methods of harassing, imprisoning, torturing, and murdering labor organizers, journalists, and political activists, then Honduras will go back to being an asset of parasitic multinational corporations, which will extract its minerals, deforest it for lumber, and endeavor to ensure that most Hondurans remain impoverished, servile farm laborers, willing to spend their lives toiling in the fields for about a dollar a day. and that will depend upon whether the country regresses, reforms, or revolts. I have begun a new blog, "The Stamp Specialist", which will feature wholesale buy prices for stamps which I am interested in purchasing. I've just posted a buy list for Honduras, and it includes the set recommended in this article. Viewing dealers' buy lists every now and then is an excellent way to keep current on the vagaries of the stamp market. In 1902, the U.S. Congress was considering legislation to fund a canal across Nicaragua to connect the Pacific Ocean with the Caribbean Sea. 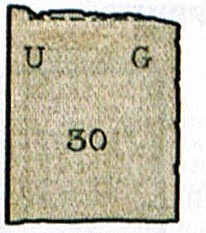 However, engineer Philippe Bunau-Varilla opposed the idea as impractical, and successfully argued against it by presenting a certain stamp as evidence. M. Bunau-Varilla worked for a French company that had attempted to build a similar canal across Panama. However, engineering crises, financial mismanagement, and deadly yellow fever epidemics eventually bankrupted the company and prevented it from completing the project. Still believing that Panama presented the best way for such a canal, Bunau-Varilla attempted to influence Congress to change its plans, claiming that Nicaragua’s terrain was too unwieldy. In the spring of 1902, nature worked in favor of Bunau-Varilla. Mt. Momotombo, a volcano in Nicaragua, erupted. Bunau-Varilla knew that publicizing the incident would alter the American Canal vote. Nicaraguan officials immediately began denying reports of the volcanic eruption, and Bunau-Varilla was left struggling for a way to counter the Nicaraguan cover-up. Luckily, he remembered once seeing a Nicaraguan postage stamp featuring Mt. Momotombo, which conveniently depicted with smoke rising from the top. After rummaging through stamp shops in Washington, D.C., he found the one he was looking for and promptly purchased 90 copies. Bunau-Varilla actively campaigned throughout the Northeast, carrying pictures and postage stamps of Nicaragua's Mt. Momotombo spewing ash and lava over the proposed route. All 45 U.S. senators received the Mt. Momotombo stamp, complete with Bunau-Varilla’s caption, “An official witness to volcanic activity in Nicaragua.” This volcano, they were told, would threaten the canal route. On June 19, 1902, the Senate voted to change the location of the canal, and the Panama route won. $ 40 million was appropriated to the Buneau-Varilla's New Panama Canal Company, under the Spooner Act of 1902. However, another obstacle remained. At the time, Panama was a department of the Republic of Colombia. Colombia signed the Hay–Herran Treaty in 1903, ceding land in Panama to the United States for the canal, but the Senate of Colombia rejected ratification. Bunau-Varilla's company was in danger of losing its $40 million from the Spooner Act, so he drew up war plans with Panamanian juntas in New York . 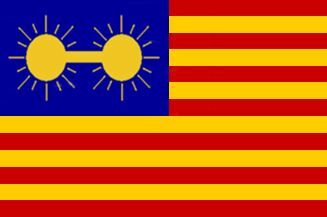 By the eve of the war, Bunau-Varilla had already drafted the new nation's constitution, flag (design shown at left), and military establishment, and promised to float the entire government on his own checkbook. Bunau-Varilla's flag design was later rejected by the Panamanian revolutionary council on the grounds that it was designed by a foreigner. Although he prepared for a small-scale civil war, violence was limited to the death of a single laborer. As promised, President Roosevelt interposed a U.S. naval fleet between the Colombian forces south of the isthmus and the Panamanian separatists, ending the conflict and giving Panama its independence. Bunau-Varilla, as Panama's ambassador to the United States, was invested with plenipotentiary powers by President Manuel Amador. 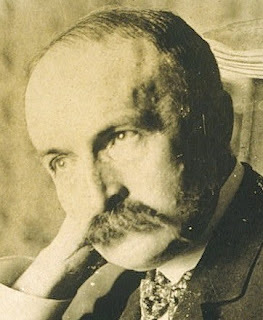 Lacking formal consent of the government of Panama, he entered into negotiations with the American Secretary of State, John Hay, to give control of the Panama Canal area to the U.S.. No Panamanians signed the resulting Hay–Bunau-Varilla Treaty. Bunau-Varilla had received his ambassadorship through financial assistance to the rebels, he had not lived in Panama for seventeen years, and he never returned. Many Panamanians long resented his betrayal of the trust put in him by the new Panamanian authorities. The treaty was finally undone by the Torrijos–Carter Treaties in 1977. In 2005, Azerbaijan issued a set and souvenir sheet picturing Orchids (Scott #789-92 and 792a). 20,000 sets and 10,000 souvenir sheets were issued, and Scott '11 prices them each unused at $6.75. Both make interesting and low-risk speculations based on their appeal as Flower topicals, and as bets on the economic growth of Azerbaijan and the development of a stamp market there. This recommendation is consistent with my belief that one of the best ways to play the new and newly resurrected countries of Europe and Asia is to focus on popular topicals with low printings. 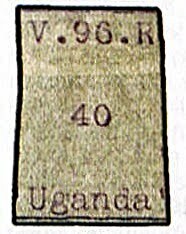 Among the ugliest of valuable stamps are the first issues of Uganda (Scott #1-53), which were typewritten on thin, tough white paper by Reverend Ernest Millar of the Church Missionary Society, an organization dedicated to saving the souls of native Africans from what it viewed as barbaric heathenism by converting them to Christianity. The first 34 of these stamps were typewritten in black. In late 1895, the black ribbon was replaced by a violet one, which was used to create #s 35-53. This issue raises the question of why anybody would want to collect the visually uninspiring typewritten stamps of Uganda, a set which best illustrates the fundamental absurdity of philately - that when all is said and done, stamps are basically just worthless pieces of paper (and sometimes even look like worthless pieces of paper), yet there are many people who are willing to spend quite alot of money on some of them. Quantity of issue information is unavailable for the set, but in all probability, fewer than 300 of each stamp were produced, with the most valuable among them being extremely rare. 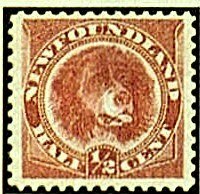 The stamps range in value from $275.00 to $ 8,750.00, per Scott '10. 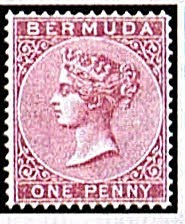 The current primary market for these stamp is, of course, British Commonwealth collectors. At worst, these stamps will remain what they have been thus far - boring, steadily rising conservative investments. However, I think that eventually, a collector base will develop among Ugandans, which will help these ugly ducklings fly much higher. Forgeries exist, so they should be purchased conditional on obtaining a certificate from either the Royal Philatelic Society of London, or the British Philatelic Association. Uganda is a nation of over 32 million people, with great poverty but also immense potential. It has substantial natural resources, including fertile soil, regular rainfall, and sizable mineral deposits of copper and cobalt. The country also has largely untapped reserves of both crude oil and natural gas. Since 1986, the government (with the support of foreign countries and international agencies) has acted to rehabilitate an economy devastated during the regime of Idi Amin and subsequent civil war. Inflation ran at 240% in 1987, 42% in June 1992, and 5.1% in 2003. Economic growth has been impressive but has not always led to poverty reduction. The challenge of promoting equitable growth, so that prosperity may be shared among a larger portion of the population, is common to much of the developing world. The countries which best rise to the challenge are most likely to enhance their political stability and economic prospects by sustaining a well-fed, educated middle class. Uganda's recent annual GDP growth has been healthy, averaging 5.5% over the last 5 years. Those interested in joining a community of stamp investors are welcome to join the "Stampselectors" group on Facebook. 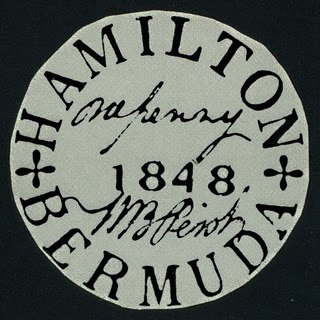 The group provides a forum for those who wish discuss this blog, as well as trade or communicate with stamp collectors, dealers, and investors from all over the world. 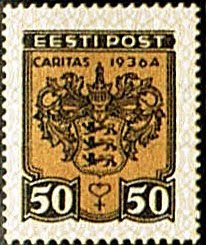 From 1936 through 1940, Estonia issued five semi-postal sets picturing the coats of arms of its major cities. All are worthy of consideration as investments. 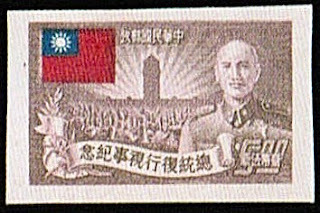 The first set (Scott #B28-31) had the lowest printing quantity of the five - 19,424, and Scott '10 values it unused at $27.50 ($47.50 for NH) . There are many items of the Baltic States which I consider grossly undervalued that should do well now that these nations are no longer under the Soviet thumb, and are open for business. Their citizens are strongly nationalistic, well-educated, and industrious, and it is likely that each of these countries will develop a base of stamp collectors which is on par with Scandinavia, in terms of proportion of the total population. Demand is additionally enhanced by the tendency of many stamp collectors to collect the Baltic States generally, rather than focusing on the individual countries. Furthermore, the issuance of new stamps by these newly resurrected countries should bolster interest in the older issues. Estonia is a nation of about 1.3 million which was once described as a "Baltic Tiger" due to its rapid economic growth. Since re-establishing independence, Estonia has styled itself as the gateway between East and West and aggressively pursued economic reform. Oil, telecommunications, textiles, chemical products, banking, services, agriculture, fishing, timber, shipbuilding, electronics, and transportation are key sectors of the economy. Annual GDP growth has averaged about 2% over the last 5 years, but this reflects contractions of 4% in 2009 and 14% in 2010, partly due to the global financial crisis.